Bonus: Visit the Grosvenor website for the latest Bonus and Promotion offers. If you’re UK based then it’s likely that you’ve heard of Grosvenor Casinos or the Rank Group that own them. They have 56 land based casinos that cover the United Kingdom (England & Scotland). 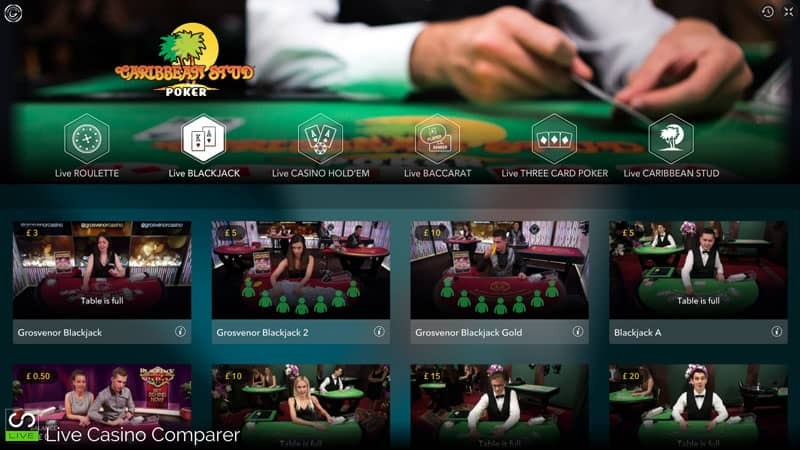 Like the Hippodrome Casino, Grosvenor has also invested heavily in an online casino presence and has a large library of casino games from the industries leading casino software suppliers. The most important for me (and you!) is their Live Casino software. They have Live Games from Evolution Gaming & NetEnt. If you’re thinking like I was (Oh no! not another Evolution Casino!) then think again. 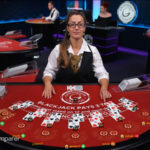 Grosvenor has one of the largest dedicated Evolution Studios in Malta, with branded tables for Blackjack, Roulette, Baccarat and 3 Card Poker. What’s so Special about Grosvenor? Firstly – They are backed by a land-based presence like no other casino, so they are as safe as you can get. 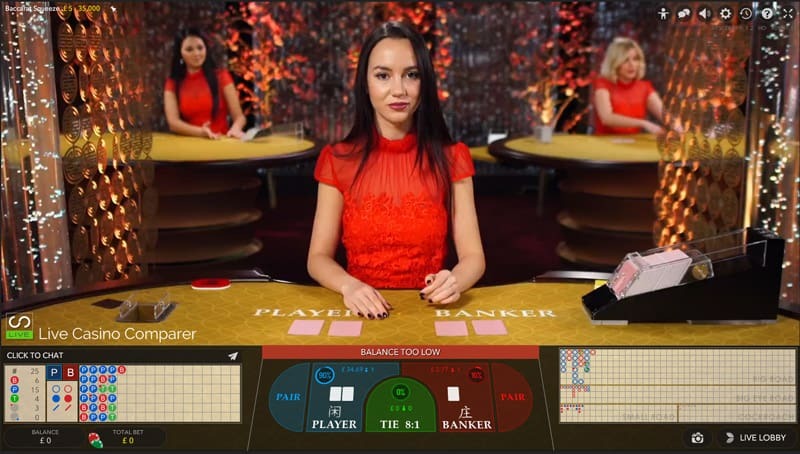 Secondly – They have a unique selling point that other online casinos can’t offer and that is they have integrated their player loyalty systems. This means that you can hold one account and you’ll be rewarded for your play and loyalty at both the online and land-based casinos. You’re then able to redeem the Play Points at either for free gifts, drinks, food etc. 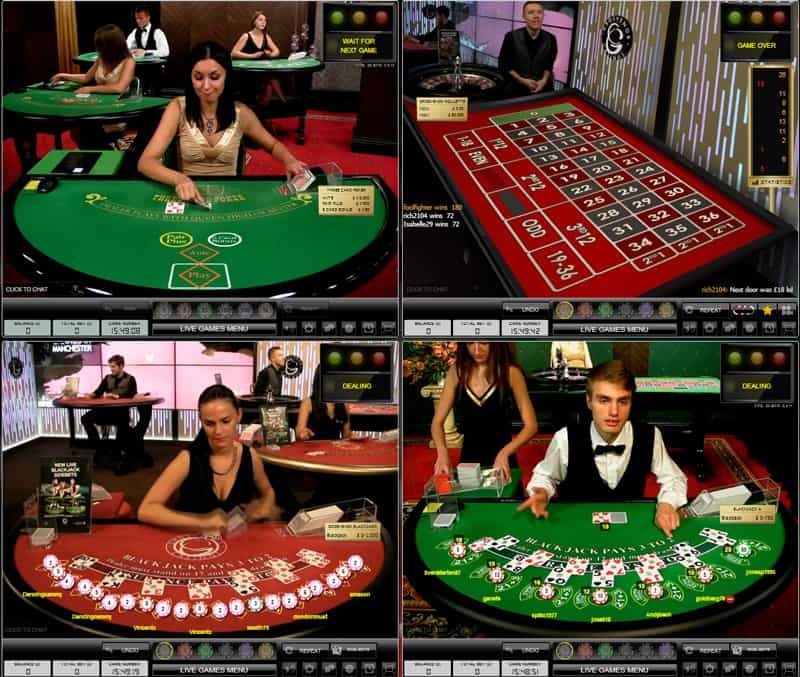 Thirdly – They have an extensive range of dedicated tables in their own dealing room at Evolutions Malta live casino studio. All of the games can be played on a range of mobile devices and tablets. 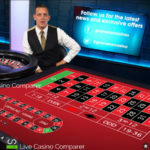 While Grosvenor Live Casino has a full range of live casino games from the three suppliers, they are missing Dragon Tiger and Sic Bo, which you can currently play at Playtech Live Casinos like Bet365. 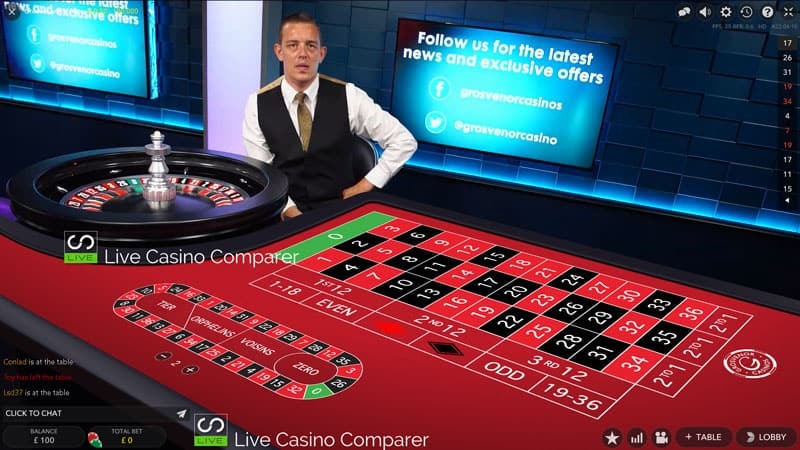 Grosvenor has roulette covered, with virtually every type of live table available. 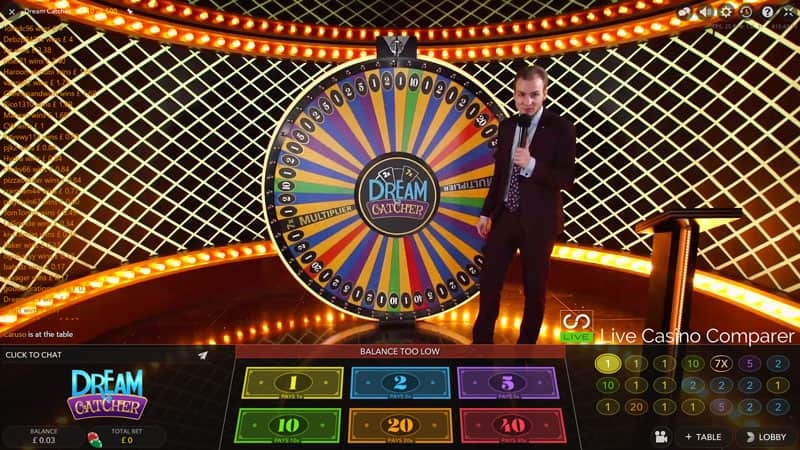 Starting off, you can play on table streamed from their land based casino, The Victoria Casino, in London. If you want studio play there’s one dedicated table with a British dealer. Other variations include VIP tables, Immersive HD roulette, French Roulette with La Partage and Auto Roulette called Slingshot. American Roulette and Double Ball Roulette make an appearance as does a range of Native Language tables in Turkish, Danish, Swedish & German. The tables at NetEnt have high maximum stakes so these really suit high rollers. There are 20 tables, 7 which are dedicated to Grosvenor live casino and 9 VIP tables. Blackjack sides bets (21+3, Bet Behind and Perfect Pairs) are available at all the Evolution tables. There are a few Blackjack tables at Extreme. Play at these if you like a more intimate experience with the dealers. 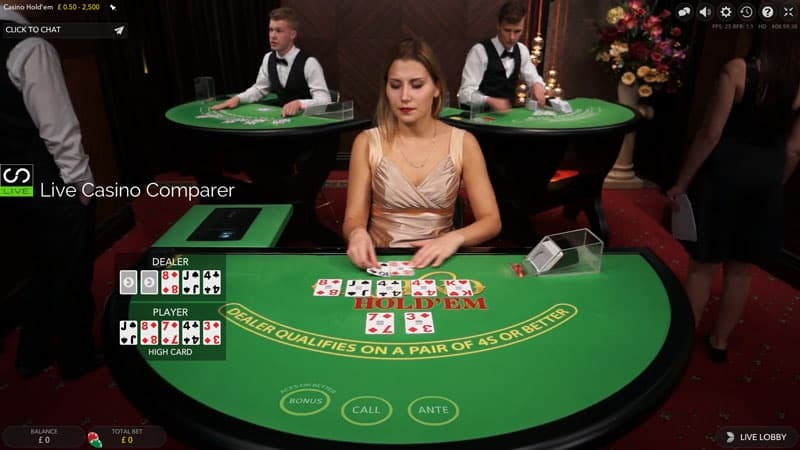 Grosvenor has launched a first, Dual Play Baccarat, which is live streamed again from the Victoria Casino. 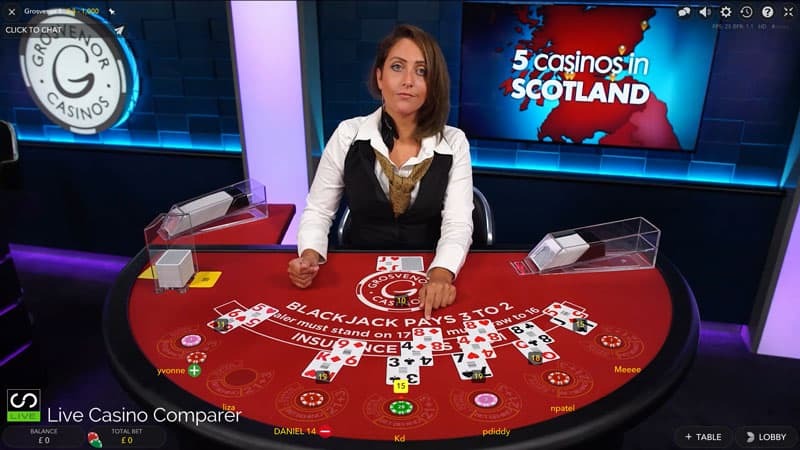 You can play alongside casino regulars as they try and work out whether to bet Banker or Player. There is a range of Squeeze Baccarat tables as well as normal and Speed Baccarat. 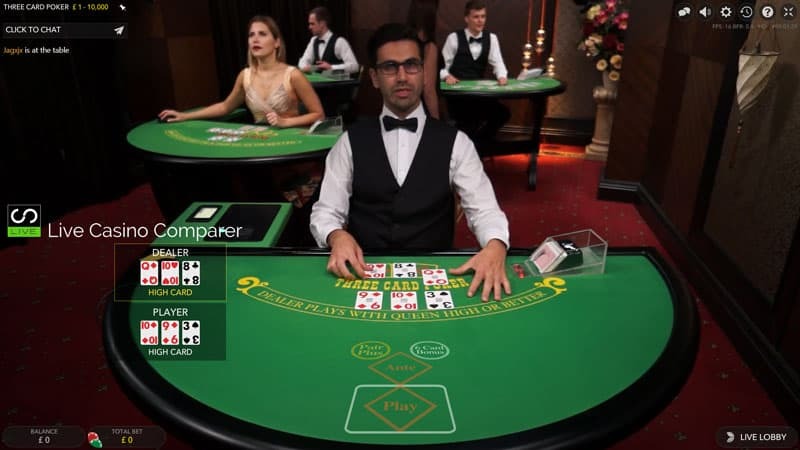 There’s 1 generic table, it’s a multiplayer poker game where you have to get a better 5 card poker hand than the dealer to win. There are optional side bets that give a greater payout if you hit a few hands. There’s 1 generic table. 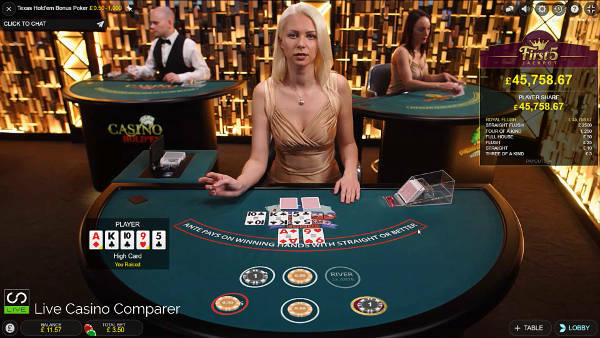 Again it’s a one handed multi-player game where your 3 card poker hand must beat the dealers. 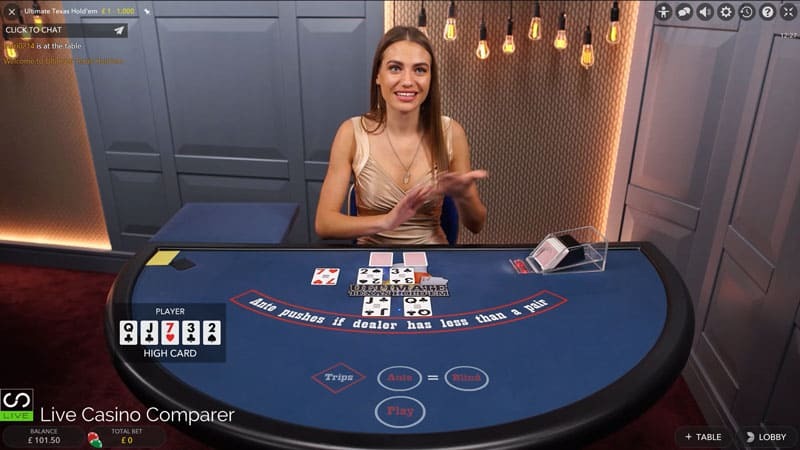 The Trips side bet is worth playing as this pays out even if the dealer beats you. There’s also a 6 card bonus side bet which is harder to hit but has better payouts. It’s one of my favourite games. Using the right 3 card poker strategy will help you to maximise your opportunities to win. Another recent addition. Caribbean Stud poker is the third poker derived game. This time one 5 card player hand is played against the dealers 5 cards. It’s a straight race who has the better hand. The 5+1 Bonus payouts are worth having if you hit a good hand. This is a newer variation of this well known poker game. 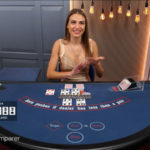 Unlike previous versions where you have to make all you’re betting decisions up front, Texas Hold’em Bonus pokers allows you to build your bet as the cards are dealt. Therefore you don’t commit unless you have a good hand. The Bonus side bet is also interesting as it pays out for pairs and high value card combinations. This is not a game that I will play regularly. 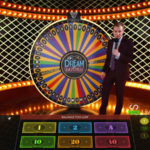 It’s a wheel of fortune, but with a difference. You can have a 2x or a 7x multiplier applied to your win if it’s active. That’s can give you a payout of up to 280/1. There is also a multi-table/game facility that can be used to display and play up to 4 different tables/games simultaneously on your screen. It arranges the games quite neatly depending on your screen size. 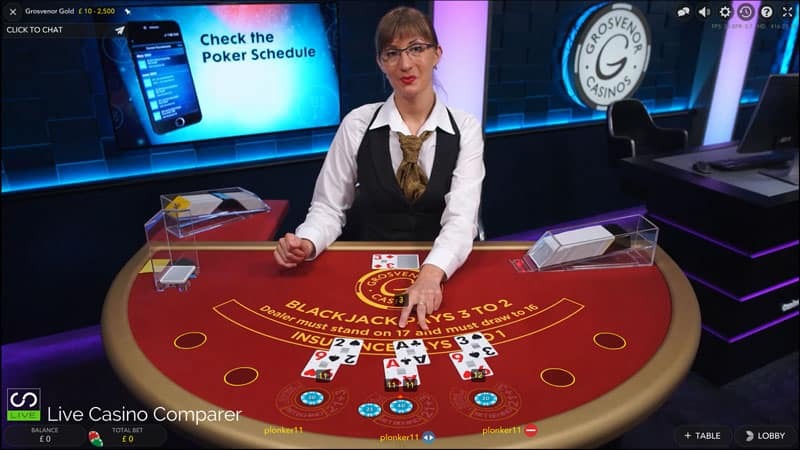 Useful if you like playing multiple tables, something I like to do with Blackjack. Grosvenor offers a range of banking options for their customers. Depending on which ones you use will determine how easily and quickly you’ll receive your money when you withdraw. There are restrictions on deposits made with Mastercard if it’s not registered in the UK, so expect to have to provide verification documentation to arrange payment by bank transfer or cheque. The easiest methods are debit cards and of course online wallets like Neteller or Paypal. Having a big land-based presence certainly gives you the comfort feeling that Grosvenor is not going anywhere fast. They are backed by the Rank Group which is a huge organisation listed on the London Stock Exchange. As far as Licensing goes Grosvenor live casino is licensed through the Alderney and UK Gambling Commission. 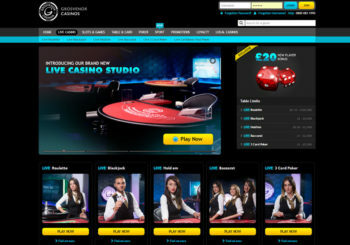 Grosvenor has a good range of Bonuses and Promotions for Live casino players. They are constantly being updated so I’d recommend you visit the Promotions Page to view what’s currently available. 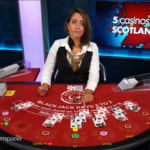 What’s not really promoted heavily are the Casino hosts, who walk round the live casino studio dishing out bonuses and free cash to players. It’s well worth being on a table when this happens, as they might say “next Player to win 3 hands in a row will win £10 in cash”. The prize or bonus is normally credited immediately to your account. I’m a fan of Evolution software anyway so that’s a good start. The NetEnt Live Games offer something different, so it’s certainly worth checking them out as well. 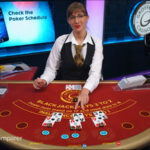 Grosvenor are pretty unique because they have a land based casino presence, which gives them a sense of permanency and trustworthiness that other online casinos struggle with. 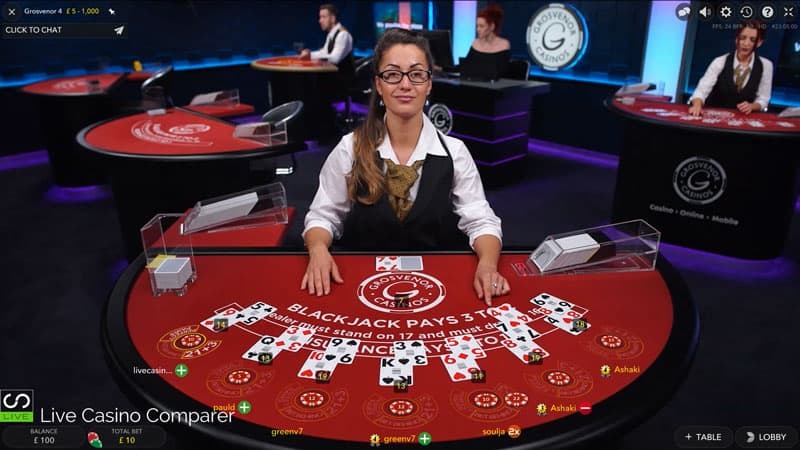 The dedicated tables make a huge difference, as you get the opportunity to take part in on table promotions and you’re almost guaranteed to get a seat at Blackjack. VIP’s are well catered for, but table limits aren’t as high as you get at William Hill who also has dedicated tables. 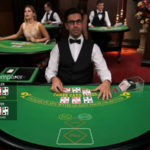 I enjoy playing at the tables at Grosvenor and have also been lucky enough to play in one of their land based casinos underneath the Grosvenor Hotel in London. I don’t think you’ll be disappointed when you play here.